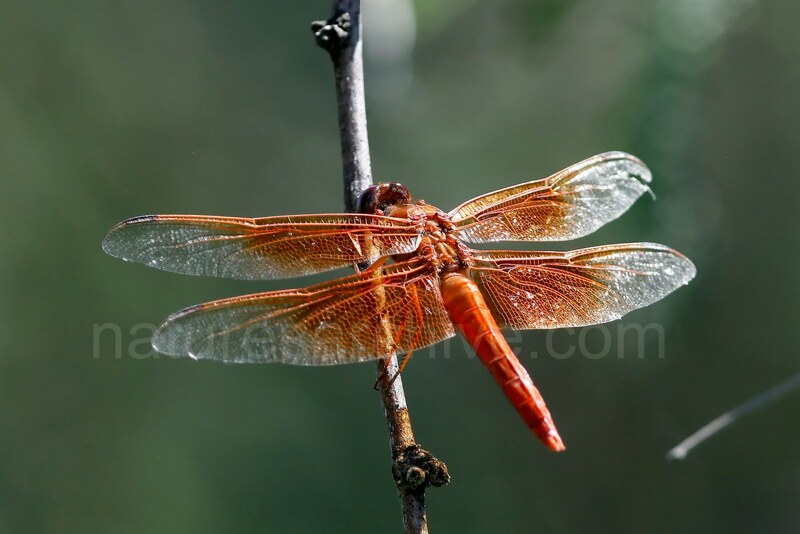 This Flame Skimmer (Libellula saturata) was seen in early September at San Pedro National Riparian Conservation Area near one of the ponds by San Pedro House. Flame skimmer rivals the Neon Skimmer in terms of over-the-top red/orange color, but the Neon, which is slightly larger, and a brighter red, still wins out. The Flame Skimmer has a much larger range than the Neon, however, making it a more familiar sight. Its covers most of the region of the Neon (except for eastern TX and central Oklahoma), and much more of the interior west.